Last weekend I watched something straight out of the old west, an annual event that hasn’t changed for one hundred fifty years, at least – probably longer than that. I’m talking about rounding up all the calves, branding them, and all that. It’s still done by a bunch of sweaty (mostly cute!) 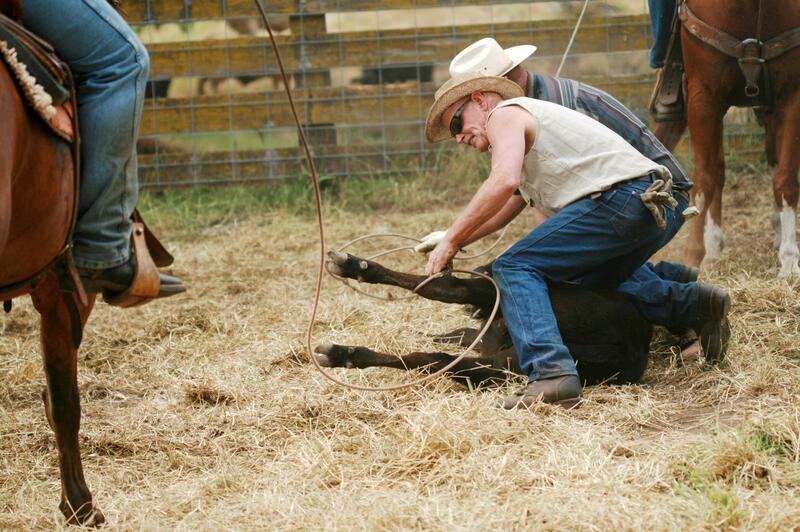 guys strong enough to grab a calf and wrestle it to the ground and hold it there until the work is done. 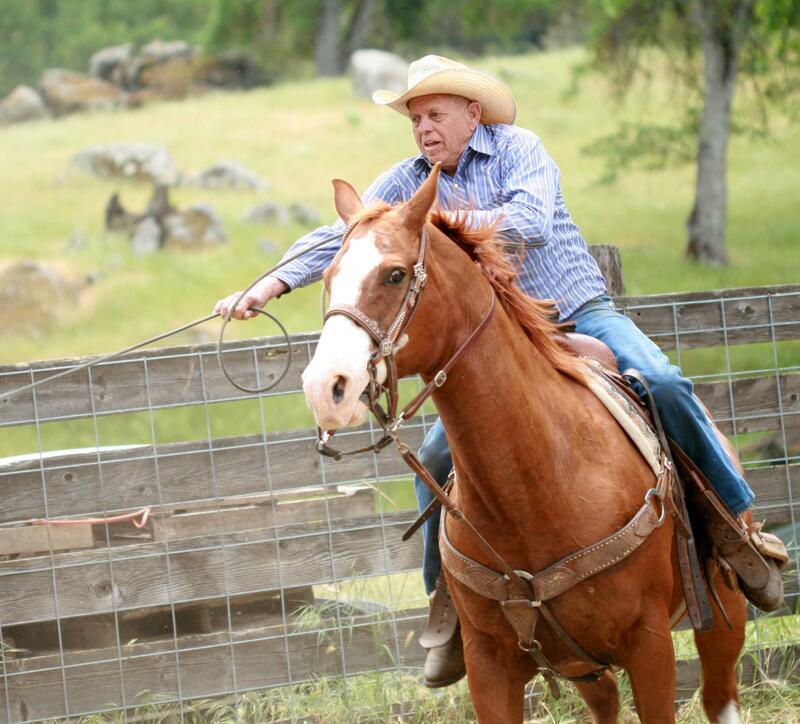 The stars are the ropers, the cowboys who maneuver their horses in the small corral, throwing their lariats over the calves head, and – even more difficult, over the back legs. What surprised me, though, was that half the ropers were girls! Imagine, sitting astride a horse, working alongside the men as an equal, star of the show even. Equal opportunity started in the west, and it shows. I know our host’s mom was a working cowgirl from the time she was twelve years old. 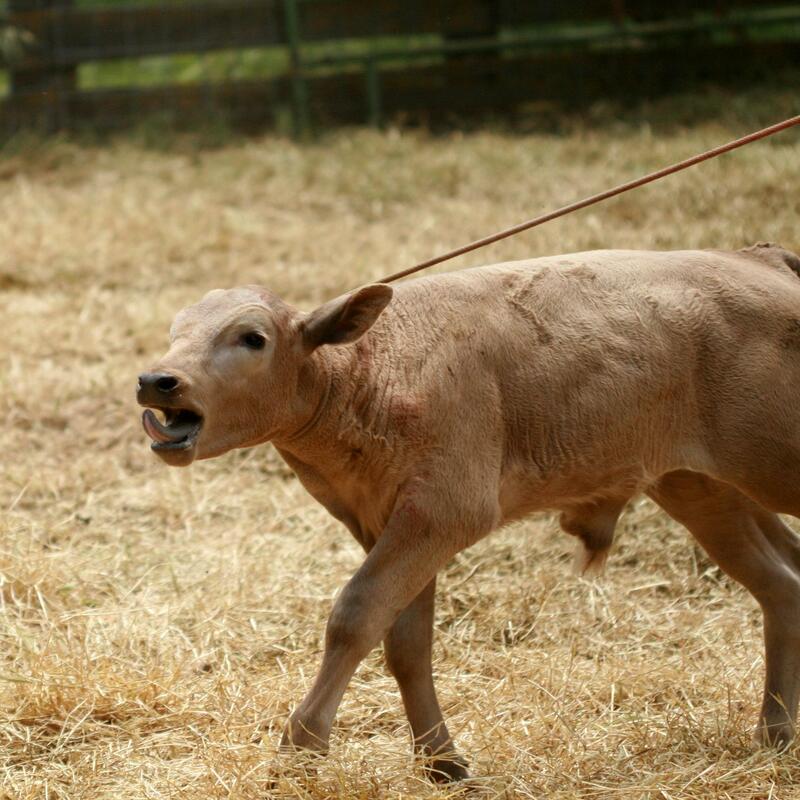 None of them called it a lariat, by the way – it was always just a rope. We were staying with our niece at her fiance’s ranch, a smaller (smaller compared to six thousand acres) ranch. The road passed the edge of the front yard, and the day started with truck after truck going by, horns honking and waves. Some had horse trailers – those were the ropers – others just families, the kids leaning out and yelling hello. There were a few cars, but not many. On a ranch everything has to work. Country folks are very family oriented, and this event was no exception. The ranch we were on has been in the family for one hundred and twenty years, and we are tied in on two counts – soulmate’s cousin was married to one of the owners (he’s since passed on), and, more recently, our niece is marrying onto the family as well. I must have been introduced to sixty or seventy people, mostly related one way or another. Or neighbors. Or friends. There were no more than five guys working on the ground, and never more than four riders. There was a table twenty feet long with enough to feed an army – everyone brought something. 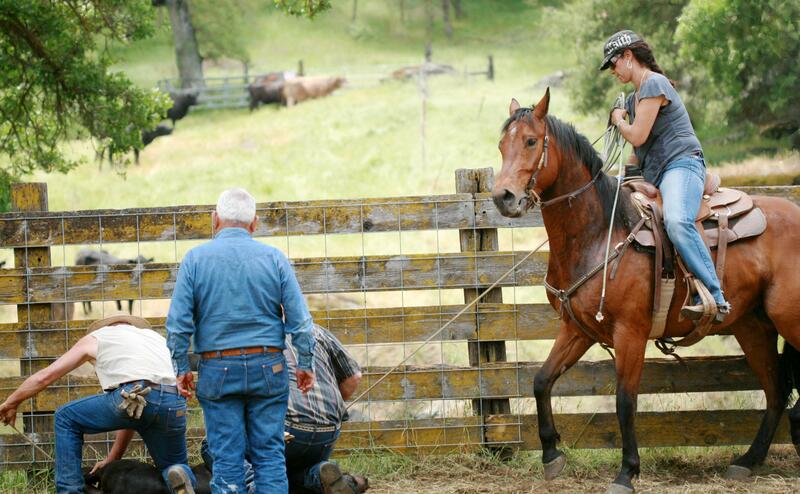 The work took no more than a few hours, the rest of us leaning over the fence around the corral (the more daring ones sitting on it), those in the know making snarky comments whenever a rider missed with his or her rope, or the calf got loose and the guys had to scurry out of the way. There is a certain ambiance to a working ranch, sounds, smells, out-buildings, people. Not to mention twenty anxious calves, most of them being weaned. The calls of their mommas was a background for everything going on. The calves’ mooing, their hooves on the dirt, smashing into the fence right in front of us. 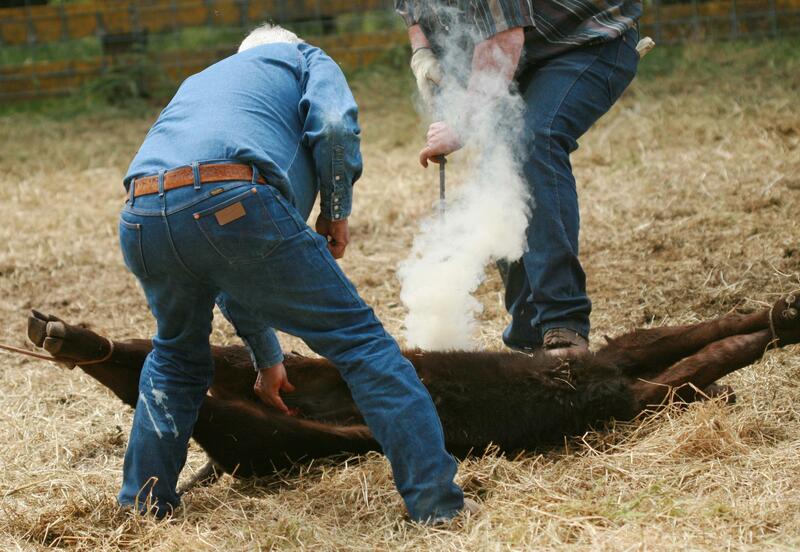 Burning hair as the branding iron marks the animals forever as to ownership. One of the most amazing things to me was that even though there were a lot of young guys, there were also men in their seventies and eighties as well, bodies work-hardened, well able to keep up. And then there’s the – um – castration, done by an eighty year old guy with a pocket knife. I’m not kidding. Watching something male get its balls removed with a pocket knife gives you strange feelings… Or some ideas for your next book. PS. Sorry I’ve been busy with all those things – life and family and everything else. I just couldn’t get to blogging. I’ll be better, I promise. It sounds like a lot of fun…all but the cutting off the balls part, of course. Thanks for the comments. Yes, the calves were not terribly happy with the situation. Specially the boys. And one thing I didn’t touch on was the attitude – you are right about how proud they are as a group. Some of the most independent folks I’ve ever seen. Also didn’t mention that the ranch is out in the back country behind Fresno. If you ever get a chance to go watch, it’s pretty fascinating just from the sensory experience, almost sensory overload. Love the idea of ranching until you read about the realities of it! Love your pictures and thank you for sharing. It is a hard life – I’ve learned a lot and you have to respect those who live that way. 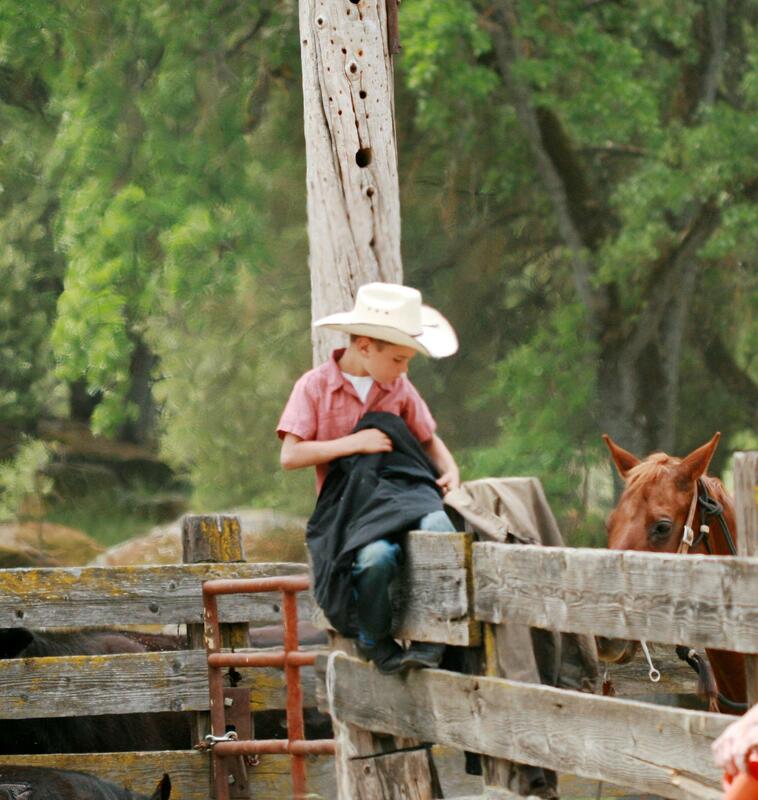 It is so different from the city it’s hard to imagine – far easier if you’ve grown up on a ranch. 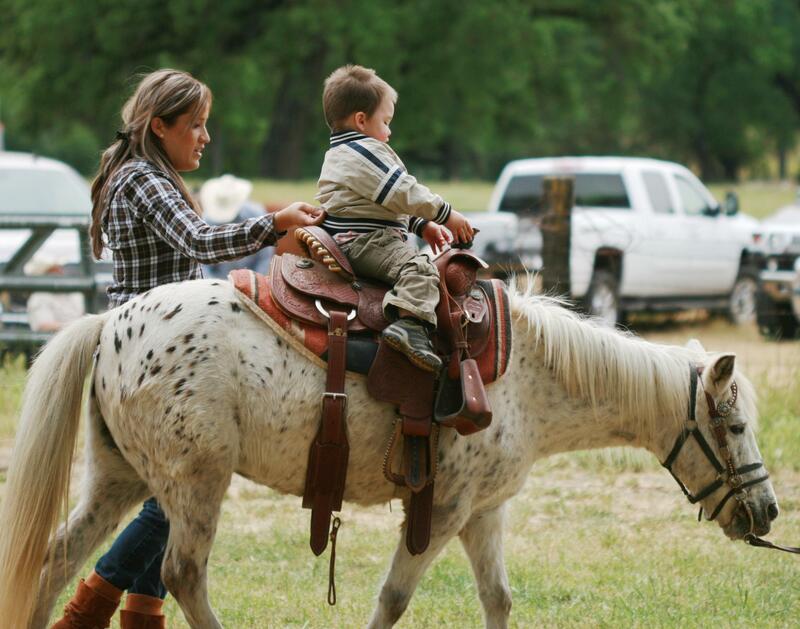 Our ranch is tiny by comparison, and certainly not that many four-footed friends, but even that keeps us busy.